Cristina Della Colletta focuses on arts and humanities in higher education, historical fiction, Italian studies and cultural studies. 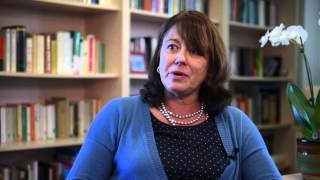 Cristina Della Coletta was appointed dean of the Division of Arts and Humanities at UC San Diego in August 2014. As dean, they hold the Chancellor's Associates Chair in Italian Literature. Prior to arriving at UC San Diego, Della Coletta served as associate dean for humanities and the arts, in the College and Graduate School of Arts and Sciences at the University of Virginia, where they were also a professor of Italian in the Department of Spanish, Italian and Portuguese. Della Coletta's research and teaching interests include historical fiction, Italian cinema and film adaptation, women’s and cultural studies, and the use of technology in the humanities. In 2006, Della Coletta was awarded the Aldo and Jeanne Scaglione Prize in Italian Studies for “World’s Fairs Italian-Style.” They received numerous teaching and mentoring awards, such as the University of Virginia Faculty Mentoring Award in 2012, the UVA Alumni Association Distinguished Professor Award in 2010, and the Horace W. Goldsmith Distinguished Teaching Award in 2005. Della Coletta was a visiting professor at the John Hopkins University (2004) and has lectured extensively in the United States and Europe. Their articles and reviews have appeared in PMLA, MLN, Italica, Rivista di studi italiani, The Italianist, Annali di’Italianistica and Studi novecenteschi, among other journals. As dean of the UC San Diego Division of Arts and Humanities, Della Coletta established the Institute of Arts and Humanities, Institute for Practical Ethics, Preparing Accomplished Transfers to the Humanities program and Arts and Community Engagement initiative. “They’re going to use our proposal as a model for others in the future,” said Cristina Della Coletta, dean of UCSD’s Division of Arts and Humanities, which encompasses the institute. The Villanova University Italian Studies program in the College of Liberal Arts and Sciences presents its fourth annual Italian lecture series. This year’s series, “Italy and the Design of Modern Beauty,” invites students and scholars to explore the lasting effects Italian beauty has had on modern design. Cristina Della Coletta, PhD, University of California San Diego, presents “Designing an Italian Style at Universal Expositions”. Della Coletta and her team worked closely with SDCCD’s Chancellor Constance Carroll and staff to propose, “Activating the Humanities in the 21st Century: A Collaborative Path for Transfer Students from Community College to Research University and Beyond.” The project connects faculty and students from both institutions through shared programs, teaching and support activities. It’s a question that’s constantly on Cristina Della Coletta’s mind: In an increasingly technology-oriented environment, how do the arts and the humanities fit in? And with students understandably looking at the practical ramifications of their education, how do you persuade more of them to study the arts and humanities? 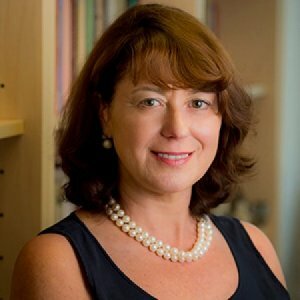 “This overarching entity serves as a consolidated, yet richly diverse, resource for improving the effectiveness of humanities study as it impacts our fast-evolving, interconnected world,” said the division’s Dean Cristina Della Coletta, who considers this a critical objective reflective of UC San Diego’s #1 ranking in the nation for its impact on society. Division dean Cristina Della Coletta asks if universities are ready to meet the needs that transfer students bring, highlighting on the importance of equity, diversity and inclusion in the humanities. The speech was given July 1 at the opening dinner for the 2018 PATH Summer Academy, welcoming new students to the Preparing Accomplished Transfers to the Humanities program, the Division of Arts and Humanities and UC San Diego. This article discusses the prose pieces that Guido Gozzano wrote about the 1911 International Exposition in Turin. Against previous interpretations, I argue that, rather than constituting either an organic and carefully designed corpus or an assemblage of discreet and extemporary articles, Gozzano’s exposition narratives were, simultaneously, calculated and inconsistent, staged and contradictory. I demonstrate that these narratives should be seen as testimonials of Gozzano’s changing positions and multiple perspectives, as he experimented with different personas and plural interpretations in a moment of both commemorative celebration (the 50th anniversary of the Unification of Italy) and rapid epistemic change in the name of modernity, technology, and progress.